Three of the six Florida athletes competing at the 2016 IAAF World U20 Championships were in action on day two including sprinter Khalifa St. Fort, hurdler Damion Thomas, and quarter-miler Jamal Walton. St. Fort, and Thomas advanced to the semifinals Thursday, while Thomas looked in great position to make the finals, but a mishap in the semi's ended all hope. Colonial alumni and FSU freshman Armani Wallace recorded the fifth best triple jump to make Thursday's final. Khalifa St. Fort decided to skip her senior season of high school eligibility in the state of Florida and turn professional signing a deal with Flow Communications. St. Fort, who will compete for Trinidad and Tobago at the Olympic Games in Rio, won her qualifying heat with a time of 11.50. The mark was the 4th fastest of the day and will set up a semifinal match up against another teenage professional Candace Hill of the United States. 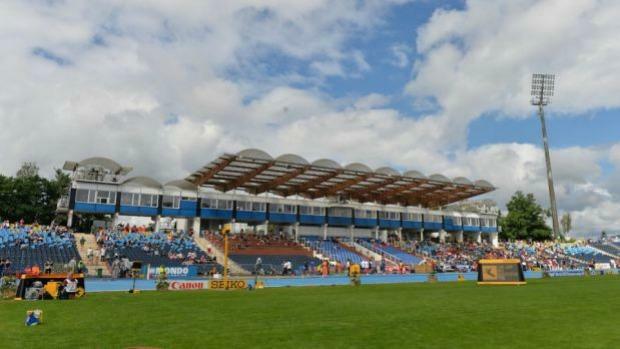 Hill beat St. Fort last year at the IAAF World Youth Championships as the duo finished 1-2. Northeast High School rising senior Damion Thomas, the 3A state champion in the 110m hurdles, ran 13.48 in the heats, to easily advance to the semifinals. Thomas looked like a sure fire bet to make the medal stand for Jamaica. ‪Unfortunately, the next round wasn't as welcoming. 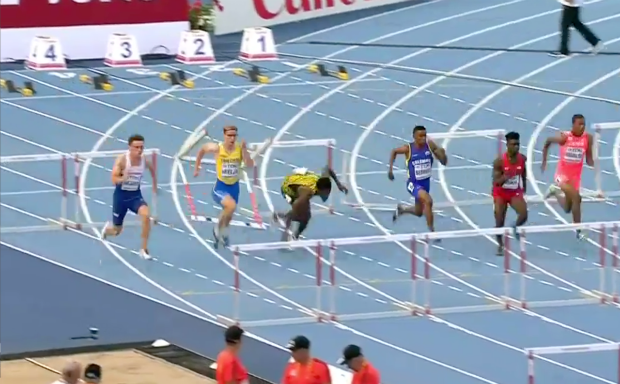 Thomas stumbled over the first hurdle and as he came crashing down so did his chances of a IAAF World U20 Championship. The final Floridian in action was rising junior Jamal Walton who advanced to Thursday's men's 400m semifinal after posting the second fastest time in heat six of 46.83. Walton's draw for the semi's is a little easier than the other two heats, but he will still have to run close to or better his PR of 45.99 to make the finals. He was fourth at the World Youth Championships in 2015. Armani Wallace, a Colonial High School graduate, and FSU freshman qualified for the finals in the triple jump after leaping 16.04m on Wednesday, the third best in his flight, and fifth best overall. After her opening round 11.50 in the 100m dash, Khalifa St. Fort says she's ready for that sub 11s performance. Damion Thomas talks about his 110mH prelim and running for Jamaica.